Your number one choice throughout the UK for innovative and exciting playground design - approved contractors for many local councils. 95% of work comes through recommendation - a fact that speaks volumes. 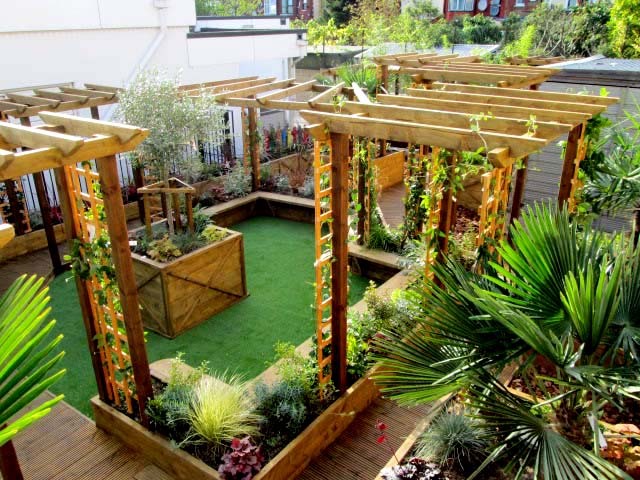 Exotic sensory planting, vegetable and scientific gardens, and fruit trees stimulate young minds. 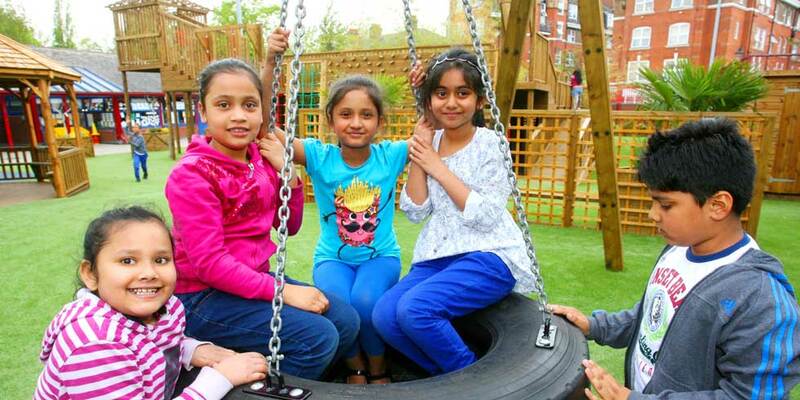 "The children can't wait to get out and play in our jungle playground - Attendance has improved dramatically"
Jaw dropping, sustainable playgrounds a specialty - surrounded by lush, exotic and exciting plants, vegetables and fruit trees. The UK's No 1 Choice. 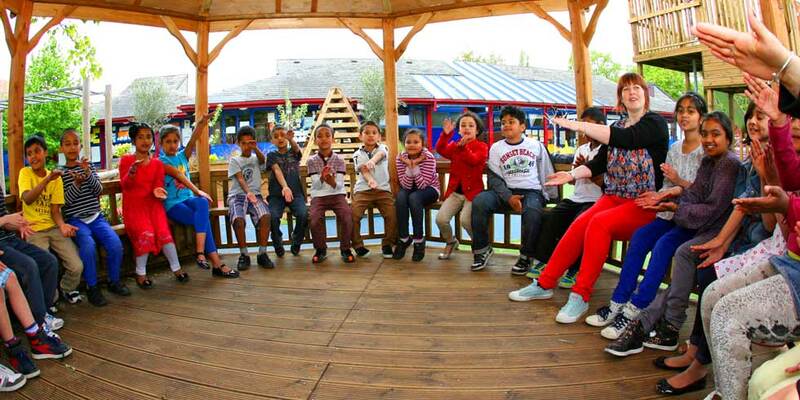 Specialists in sensory mosaic playgrounds.
" The children have an endless fascination with the patterned mosaic pathways you installed. They are always inventing new games, keeping them occupied for days on end"
Mosaics can sometimes be used in place of playground markings. They have the advantage that they will never wear out and are an alternative attractive solution which offer great value for money. Robert is one of England’s most knowledgeable, highly acclaimed International Garden Designers who now offers his unique natural wood and sustainable timber designs to schools and parks across Central England and London; he also regularly travels abroad with his Team of Master Craftsmen to construct his incredible and amazing designs; examples of his completed Projects and Costs may be viewed on his Finished Schools pages. "ROBERT`S SCHOOL DESIGNS TRANSPORT THE CHILDREN INTO A DIFFERENT WORLD "
"ROBERT`S UNIQUE NATURAL STYLE IS WITHOUT PRECEDENTS ""ROBERT IS A LEGEND IN HIS OWN LIFETIME "
"ESTABLISHED SINCE 1642, ROBERT PROUDLY AND PASSIONATELY IS CARRYING ON HIS FAMILY BUSINESS "
"A COMPLETE TIME WARP OF A COMPANY WHERE CHILDREN COME FIRST & OLD ENGLISH TRADITIONAL HAND SKILLS ARE USED"
Robert has never lost his love of Nature; his desire to fill as many spaces as possible with Trees, Shrubs Perennials, Plants in general, Lawns, Bog Areas, Sensory Gardens and Wild flower Areas is self evident in his plethora of his Amazing Planting Designs. An amazing 18th Century Pirate Boat, recreated by Robert and constructed by his ever popular Team. This boat was constructed in sections in his London Workshop. It was then transported in a container ship to Hong Kong Robert and his Team travelled to Hong Kong, where they finalised the construction and added all the original and replica Accessories. This particular Children`s Pirate Boat is every child`s dream; it is a unique creation by Robert and there has never been such an amazing one before. "Many people will be surprised when they hear that living here in Hong Kong, we commissioned you, all the way from England, to design and construct for us a Pirate Boat"
Take a look at some of the beautiful, handcrafted sustainable and imaginative designs which inspire and intrigue young minds. Over the years the company has won some very prestigious awards at well known shows. All Robert's Playground Designs are hand drawn without the aid of a computer. They take about three days to complete along with an estimate. 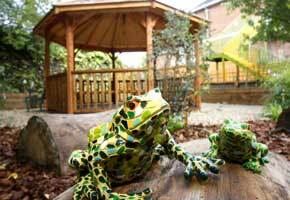 Beautiful Scientic Gardens, Raised Play Area Platforms, Sensory Planting to die for, Outdoor learning Areas - What's not to like!! There are many 'must have' features in Robert's playground designs - one of the most requested of late is Mosaic Pathways. These intrigue and inspire young minds. 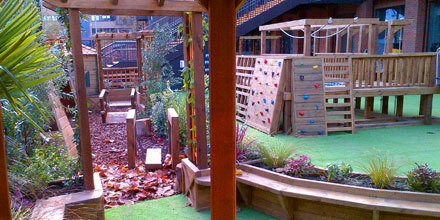 An award winning inner city nursery playground in Clapham London. Melanie Smith-Brown, the head mistress, describes it as 'heaven on earth' . Bangabandhu must be one of the luckiest schools in the country - Robert and his team of master craftsmen have just finished an absolutely mind blowing design project for the school. 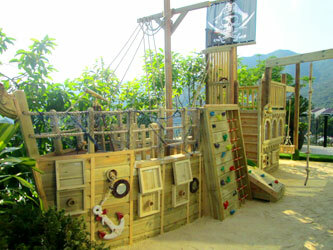 The playground features many innovative design ideas, never before seen in the UK. 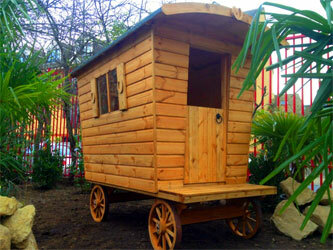 Shown to the left is a UK first - Gypsy Caravans. When the caravan arrived all lessons at the school came to a halt as children and teachers alike ran outside to get a better look. Quote from the Head - "I could never have imagined, in my wildest dreams, that our old asphalt playground could have been transformed into such an Amazing Natural Green Oasis, in the middle of our city. The children are very eager to see their new playground finished and incessantly talk about what is taking shape in front of their eyes"
A Family Business Trading since 1642 - Nearly 400 years!! 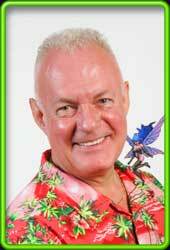 Plants, Garden, and Play Area Design is the core of Robert Sergent - Fairley's family business. 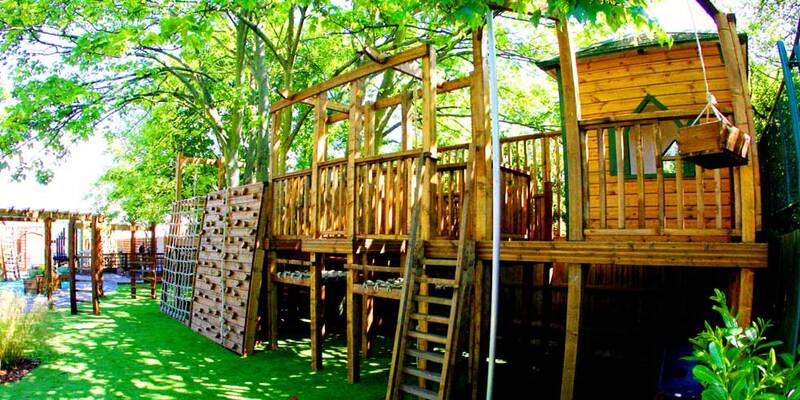 The roots of the business can be traced back to 1642 which means the business has been constructing award winning Children`s Natural Play areas for almost 400 years ! ! Back to the present day, Robert would like to see a Wild Flower Area, Sensory Garden or Scientific Nature Garden in every school in the UK. His desire is “for School Children of all ages, to participate in the care and cultivation of their school outdoor areas and to have the opportunity to spend their early formative years in natural green surroundings for their recreation, play hours and their studies"
He also “loathes the Standard Wire Fencing and the solid brick walls, generally erected around School Playground Areas”. He completely “despises the Multi Coloured Modular Play Structures prevalent in most School Playgrounds”. He blames all these “abominations” on the basic lack of School Playground Design Knowledge by other design companies.